· Do you feel like you have lost control of your role as a parent? · Do you find yourself yelling at your child more often than laughing with your child? · Do you feel you have lost touch with your child…don’t feel as close as you’d like? · Do you feel frustrated and find yourself saying the same things over and over, with no results? · Would you like your relationship with your child to go back to the “way it used to be”? 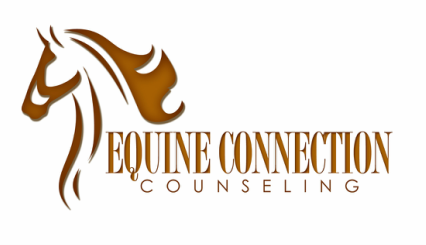 If so, Equine-Assisted Parent Training (EAPT) can help! Based on the Child-Parent Relationship Training (CPRT) model, the primary goal of EAPT is to strengthen the parent-child relationship while also providing you with strategies to better understand your child and meet his or her unique needs. You will then have the opportunity to practice these new strategies with the horses before trying them at home with your child. 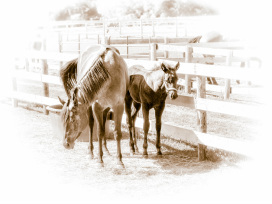 The authentic and nonjudgmental feedback provided by the horses will enable you to gain insight and move past the "roadblocks" you may be facing as a parent and in your relationship with your child. Although typically offered in a group format, individual EAPT is available as well. Please contact us to inquire regarding the group schedule or to set up individual EAPT sessions.